Apple's earnings were mixed for its fourth fiscal quarter, but the company is looking ahead to a record-shattering holiday season. Apple earned $8.2 billion in the quarter ended September 29 on sales of $36 billion. That profit came up short of analysts' expectations, and Apple (AAPL) shares dropped in after-hours trading before coming back near breakeven. The company's forecast for next quarter, however, was a blockbuster. Apple said it expects sales of around $52 billion, up 12% from last year's holiday quarter. Apple's iPhone sales for the quarter were just shy of 27 million, up 58% compared to last year. The iPhone 5 debuted at the tail end of the quarter, and Apple has had trouble keeping up with demand for it. Earlier this month, Verizon (VZ) blamed Apple's iPhone 5 supply constraints for the surprisingly low number of iPhone 5s that Verizon sold in their first week on shelves. Sales of other Apple devices were mixed. 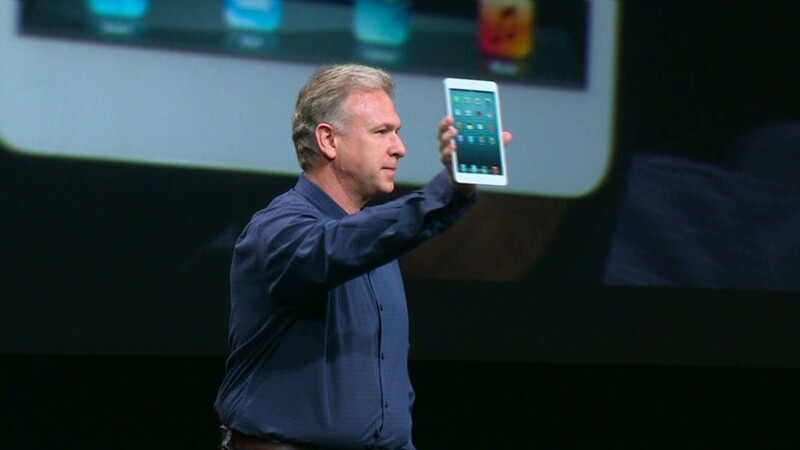 The iPad tablet came in at 14 million, lower than what most analysts polled by Fortune were expecting. Last quarter, Apple sold a record 17 million iPads after the third-generation device debuted in the U.S. in March. 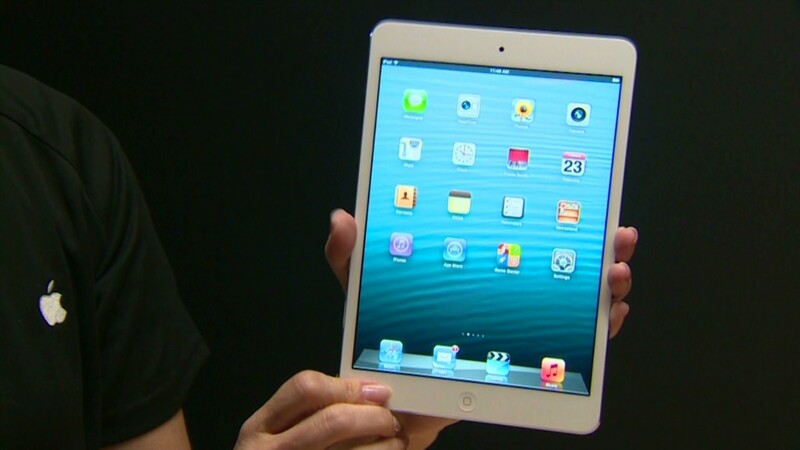 In a surprise move this week, Apple rendered that seven-month-old iPad obsolete. During an event unveiling the 7.9-inch iPad mini, Apple also announced a slightly updated fourth-generation traditional iPad with a faster processor and U.S. 4G/LTE coverage. Sales of Mac computers remained steady, at 4.9 million units. The iPod continued to decline, dropping 19% over the year to 5.3 million sold. Apple has long broken out sales figures for each iGadget. Taken over several years, they reflect the changing device landscape as the world becomes more mobile. Mac computers have generally remained flat and iPod music players are declining, but iPad sales have steadily risen. The iPhone, Apple's bestselling device, soars in quarters during which a new model is released. On a post-earnings conference call with analysts, CEO Tim Cook revealed that the iPad accounted for $7.5 billion of the company's revenue last quarter. He also took a shot at another tablet, Microsoft's (MSFT) brand new Surface. "I haven't played with a Surface yet, but what we're reading about it is it's a fairly compromised, confusing product," Cook said. Several analysts asked questions related to the iPad mini, particularly about why Apple priced the device at $329 -- leaving breathing room for the $199 7-inch tablets from Amazon (AMZN), Google (GOOG) and Samsung. Apple had clearly prepared for the question. Both Cook and CFO Peter Oppenheimer struck a defensive tone. "The difference between the iPad mini and the competition is profound," Oppenheimer said, in a tone suggesting that he was reading from written remarks. He later added: "We didn't set out to build a smaller, cheaper tablet. We set out to build the full iPad experience." "We would not make one of the 7-inch tablets," he said. "We just don't think they're good products." Well before analysts had the chance to grill Apple executives, pundits spent the week debating the $329 price point on the iPad mini, which has a 7.9-inch screen. As Daring Fireball blogger John Gruber put it: "'Better but costs more' is a gamble. 'Better and costs the same or less' is a sure thing.